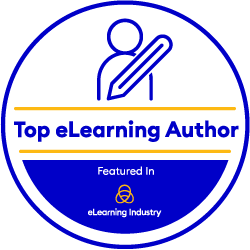 Prior to Captivate 2019 if you wanted to import a large pool of questions into your eLearning project you needed to use the GIFT file format. GIFT stands for General Import Format Template and it requires a specific set of syntax rules to work properly. You would write these files using a standard text editor, however, the file needed to be saved in Unicode Transformation Format (UTF-8) to function. As a developer, I was hesitant to ask designers to provide me with their questions in this format because of the added complexity that the format and syntax might cause. With Captivate 2019 you can now import using CSV files (comma separated values), which can be easily created with standard spreadsheet programs. There are just a small number of rules to remember and you can create entire databases of questions to easily import into Adobe Captivate 2019.